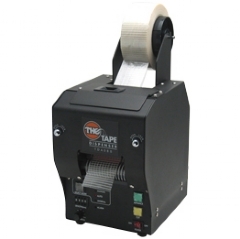 Automatically dispenses and cuts virtually any tape - including duct tape. Designed for continuous industrial use applications. Four operating modes (Feed,Manual,Auto and Interval). Optional foot switch available.